My name is Michael J. Shover. I am a graduate from Cairn University, B.S. 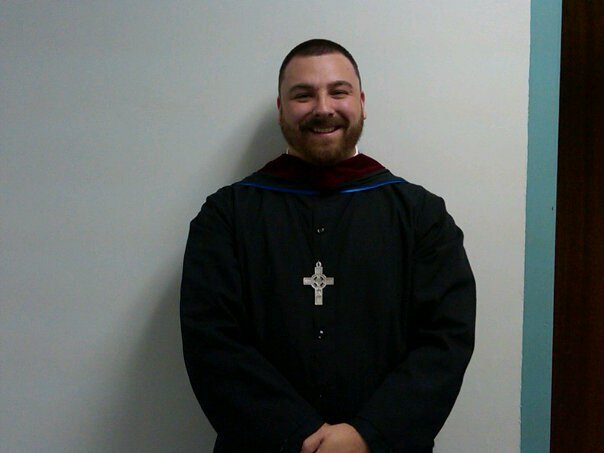 (formerly known as Philadelphia Biblical University) and Reformed Episcopal Seminary, M.Div. I am currently a member of All Saints Church (CREC) in Lancaster, Pennsylvania. I am the blessed husband of Ivette, and father of Nathanael, Sophia, and Amber. Here you will find some stuff written by me and some stuff I lifted from others. Either way, my goal is to help you grow in the knowledge of Jesus Christ, and His Word, which should in turn cause you to grow in your Love for Him, the Church, and the World. Excellent. Blog more frequently, even if it’s sometimes quotes from books you are reading. Mike, I was just thinking this very thing this morning. I am writing one right now. Thanks.